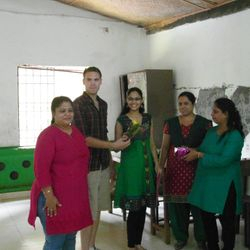 Spending time in India with Volunteering Goa is a truly life changing experience. We have a range of placements to suit your skills, experience and interests and we work with a wide range of charities based in Goa. If you don’t see anything here that quite takes your fancy, please contact us as we are always finding new charities to work with. When you arrive in Goa, we’ll make you feel completely at home in your accommodation, right on the site of one of the charities. We’ll show you how to travel around Goa independently and give you advice on all the best places to eat, drink and sight see in this amazing state. This is the time to sort out all those things that were worrying you about spending time in a new and different country with the help of our friendly team. Unlike many other volunteering organisations, our volunteers work individually or sometimes in pairs within a local organisation. While this can be a little daunting at the start, it gives a unique opportunity to immerse yourself totally in local culture and ways of life. All the senior staff and most colleagues in the charities that we work with speak excellent English, and they are your team during your placement. 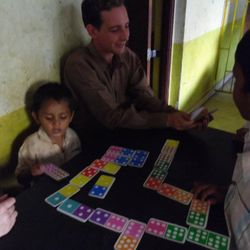 Most volunteers find that, rather than building friendships with other people from home, this way of working helps you to form deep and lasting relationships with local people in Goa. 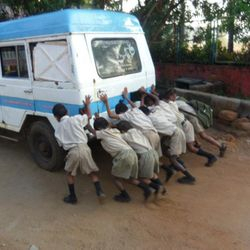 This gives you the chance to make a huge difference for them and is also gives volunteers a truer experience of local life in Goa. The Volunteering Goa team are always there to help if things get too much and there are opportunities to meet with any other volunteers who may be in Goa at the same time during days off. This is the local centre of the worldwide charitable network of the Salesian (Don Bosco) community. 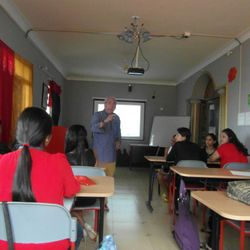 In Goa, the charity runs a whole range of projects from children's homes to day schools, training camps to skill centres, adult literacy programmes to women's empowerment initiatives. Work with KDS can be in one or more of the centres and the volunteers spend their time in a variety of ways that makes best use of the skills that they bring.